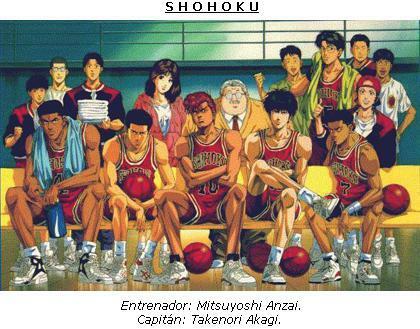 Sakuragi is not an ace, hes the self claim tensai who rebounds like Dennis Rodman. 1. Shohoku Kootoo -- All of 'em! 5. Kainan HS ( Shinichi Maki & Soichiro Jin ) Kyota Nobunaga?? I think he's just an IDIOT.